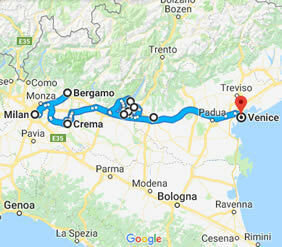 Milan, Crema, Bergamo, Verona, Lake Garda, Venice, and more! Arrival in Milan, Italy. Check in at the Ibis Milano Centro Hotel . The ibis Milano Centro hotel is located in the center of Milan, a stone's throw from the Milano Centrale train station and the Repubblica metro stop. An ideal base for exploring the cathedral, Milan's La Scala opera house and the fashion district. Visit of Cascate del Serio Waterfalls. Here is when in the movie the two protagonists run, while “Mystery of love” song by Sufjan Stevenson plays, a slope at the base of a waterfall screaming. 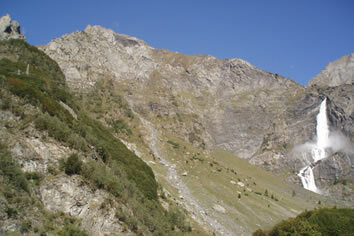 When the Falls are closed you can do visit one of the shelters of Brembana Valley or Seriana Valley. Departure for Milan. Free evening. 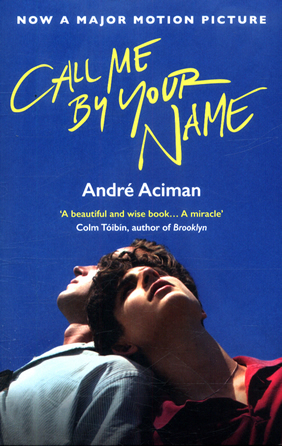 Crema and the countryside: the authentic heart of the Po Valley and Northern Italy and the main place where the “Call Me By Your Name” was shot and where you follow the steps and locations experienced by Elio and Oliver. 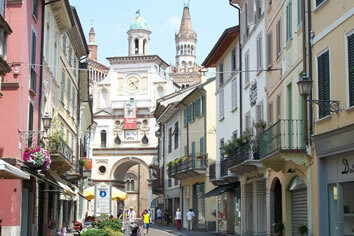 Departure for Crema (Piazza Duomo with Palazzo Comunale, Duomo, Torrazzo, via Marazzi and Piazza Premoli. Places expressly linked to the film) and Moscazzano (here you will see the outside of the Villa Albergoni, the square with the parish church and the Belvedere Bar, where some scenes have been shot. Then you can continue to Corte Palasio to see outside the Villa Trivulzio, where it takes place the water request scene.) and visit with an English-speaking guide for the day dedicated to visiting the movie’s sets. Visit Pandino (Vittorio Emanuele III square), Capralba and Ricengo Lake (movie settings) with an English-speaking guide. Check-in at Villa Fabrizia Resort in Crema. Free evening. Check-out from hotel. Departure for Lake Garda (Sirmione). 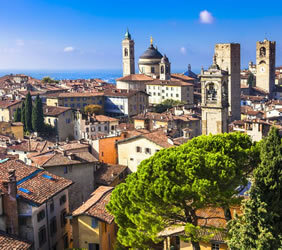 Bardolino is a small town on Lake Garda, of Roman origin and with a long historic tradition: the San Zeno Church and San Severo Church are musts to be visited. Local wine is well known all over the world: from Chiaretto, to Amarone wine cellars offer several opportunities for wine tastings. Sirmione is just a small touristic town on a peninsula in the Garda Lake. Its Castle and Fortress dominates the view. Lemons are specialties of Lake Garda. 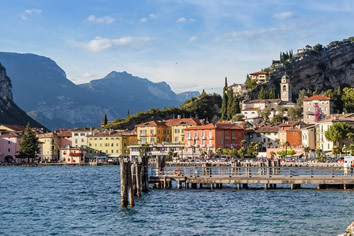 Discover the Caves of Catullus on Lake Garda: this tour would make Professor Perlman proud. The name ‘Caves of Catullus’ identifies a Roman Villa, which was built between the Ist century B.C. 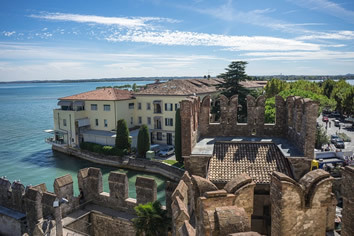 and Ist century A. C., in Sirmione (The archaeological find scene was filmed here between the Grotte di Catullo Park and the Jamaica beach). Visit Cascina Maddalena Lugana wine cellar for tasting local wines and homemade food. Accommodation in gay friendly Aqualux Hotel Spa & Suite in Bardolino. Free visit Desenzano del Garda. Departure from Bardolino to Verona. 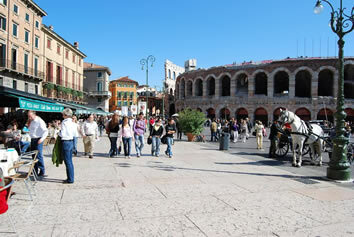 With our private English speaking guide, you can discover the beauty of Verona, the ancient city of the poet Catullus, an example of ancient Roman bisexuality, as was his family friend (and political enemy) Julius Caesar, whom he met here. Free lunch. Visit town (Arena, Romeo and Juliet’s Balcony, Piazza delle Erbe, etc) with an English speaking guide. Accommodation: Hotel Ca Gottardi (gay friendly) or similar. Untold History tour in Venice ‘ Thomas Mann and his Venice’. • Entrance to the Archeologic Site "Caves of Catullus"
• Everything not clearly mentioned on "the price includes"
The ibis Milano Centro hotel is located in the center of Milan, a stone's throw from the Milano Centrale train station and the Repubblica metro stop. An ideal base for exploring the cathedral, Milan's La Scala opera house and the fashion district. Linate Airport is a 15-minute drive from this hotel, while Malpensa Airport is 50 km away. The rooms are soundproofed and air conditioned and all have free WIFI. Rooms at the Ibis come with a flat-screen TV and private bathroom. The Lineauno Bistro' restaurant serves international cuisine and there is a 24-hour lounge-bar area serving hot drinks and snacks, overlooking the gardens. Breakfast is available from 04:00 until 12:00. Situated in Bertonico, Villa Fabrizia Resort features a seasonal outdoor pool and views of the pool. Guests can enjoy the on-site bar and restaurant. Free WiFi is available throughout the resort and free private parking is available on site. There is room service at the resort. Each room at this resort is air conditioned and features a flat-screen TV with satellite channels. Certain units feature a seating area where you can relax. For your comfort, you will find slippers, free toiletries and a hairdryer. Aqualux is a brand-new hotel characterised by modern interiors, interesting architecture and extensive wellness facilities. It is set in Bardolino on Lake Garda at the foot of Monte Felice. Aqualux Hotel Spa & Suite is an eco-friendly hotel with a geometric square design, totalling 17,000 m². Its lobby features large windows overlooking the courtyard and water area. There are a total of 8 swimming pools, both internal and external. The free AquaSpa & Wellness is 1000 m² and includes a gym, sauna and Turkish bath. A range of massages and tanning beds are also available. Rooms are elegant and spacious, each one with large windows and most have a private balcony. Every room is air conditioned and soundproofed and includes an LCD TV, minibar and tea and coffee making facilities. A buffet restaurant is open at breakfast and dinner, while an à la carte restaurant offers lunch and dinner. There is a bar indoors, and a poolside bar during summer. 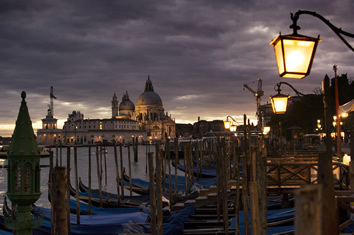 Just 200 m from the Ca' d'Oro palace, Ca' Gottardi is a charming 16th-century building overlooking a canal in Venice. It offers a choice of elegant rooms and suites, all with free WiFi. With traditional Venetian décor, bed and Breakfast here includes air conditioning, an LCD TV and minibar. The en suite bathroom includes free toiletries and a hairdryer. A buffet breakfast is available each morning at Ca' Gottardi, including sweet and savoury options. The surrounding areas is packed with restaurants, shops and cosy wine bars. You have excellent Vaporetto (water bus) connections around Venice. What shall I personally book, when buying the tour? The tour you buy does not include flights and any other transfer to the departing point. The same when leaving: transfer to/from airports are personal responsibility. In any case, we are ready to help you to arrange flights and transfers, in case of need. Yes, you have have an Italian/English-speaking tour leader with you. Considering that June may be hot in Italy, we suggest to carry a spray against mosquitoes, a hat and trekking shoes. Never forget an umbrella, too. Always keep your passport with you, too. Payment with your credit card may incur payment card charges. No additional charges on bank transfer payments. Book until March 1st 2019 to get Early Bird Price. After this date the price will increase of € 310 per person. Web Page © Happy Travel, Ltd. Logos and Images © Atlantis Events Inc., Quiiky, etc.